Chalet Louisa is a ski-in/out (in normal conditions) chalet, in the centre of the Altiport complex above the Les Bergers area on the east side of this excellent resort. From the chalet, skiers can ski to Les Bergers, the ski school meeting point and the Marmottes gondola. 20 minutes (approx) walk from the chalet there are bars and restaurants and the free shuttle service (running until 1700hrs) takes guests into the centre of Alpe d’Huez. This chalet is perfect for guests wanting a quiet location from which to explore the extensive ski area of Alpe d'Huez. 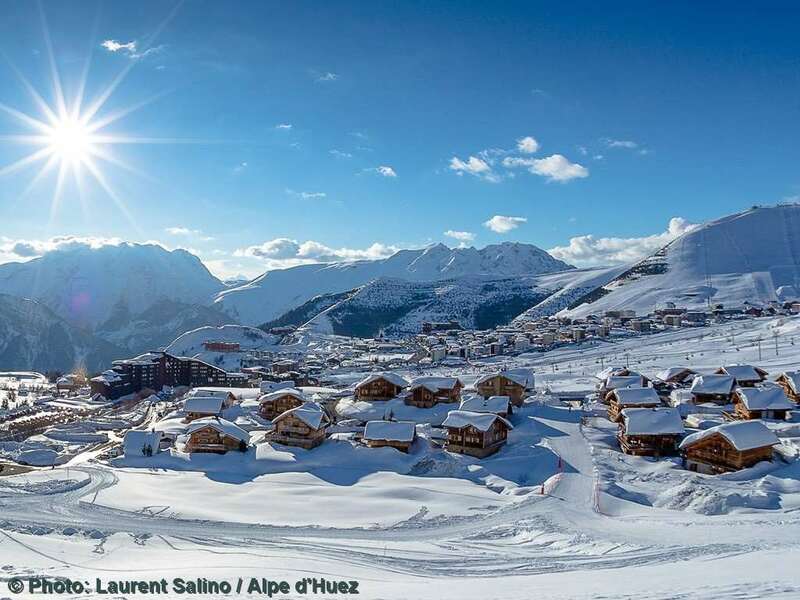 Chalet Louisa offers a high standard of accommodation with excellent facilities and fantastic panoramic views of Alpe d'Huez. In addition to all rooms having en suite bathrooms with heated towel rails, there is the added luxury of both a hot tub and a sauna. Built in traditional wood and stone, this lovely chalet has a large balcony off the pleasantly decorated living/dining area with a warming wood-burning stove, TV and DVD. Room 7 is a perfect room for a family with the additional bunk beds that can be used by children only. This is a popular chalet so early booking is recommended. Chalet Louisa was fantastic, great chalet staff, really helpful with all queries. The food was good and the wine plentiful. The chalet was in a fantastic location, true ski-in ski-out. The chalet was clearly well maintained and the bedrooms (although ours was small) were functional.